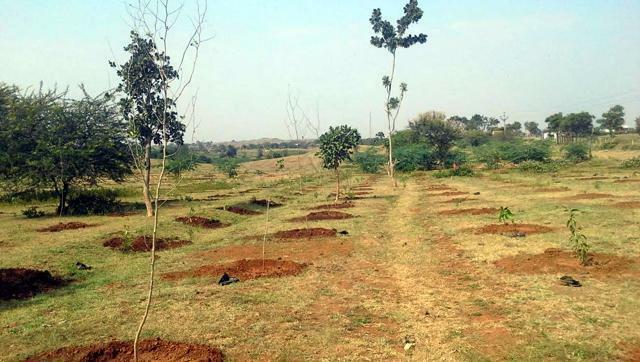 Companies or individuals using Madhya Pradesh’s bio-resources like medicinal plants and genetic material will soon have to share benefit with the state, a top official said here on Tuesday. The move, the official said, was aimed at protecting the state’s biodiversity and associated knowledge against their use by individuals and organisations for research or commercial use without sharing benefits. Sreenivasa Murthy, the member secretary of the state biodiversity board, said the state government was in the process to adopt “guidelines on access to biological resources and associated knowledge and benefits sharing regulations 2014” framed by the Centre under the Biological Diversity Act, 2002. Given the state’s rich biodiversity, financial implications could be in thousands of crores once the guidelines are implemented, Murthy said. “Till now, companies are buying bio-resources from Madhya Pradesh primarily through middlemen at nominal rates and sell their products in domestic and international markets at high cost,” he said. “We are planning to devise some mechanism to gather market intelligence about how many companies are procuring bio-resources from the state,” he said. “We will also look into rates at which companies buy bio-resources from the state and at what rates, they sell their products later. Only after we gather market intelligence, we can ensure proper benefits sharing,” he said. Up to 95 % of the benefit sharing will go to local bodies, biological management committees and tribals, Murthy said, adding that it would act as a major incentive for locals to conserve biological resources. “The state biodiversity board is already talking to companies like Himalaya and Dabur on access and benefit sharing,” said the board’s member secretary. How companies or traders can seek approval? Any person who intends to have access to biological resources including biological resources harvested by joint forest management committees or forest dwellers or tribal cultivators or gram Sabhas, will have to apply to the National Biodiversity Authority in Form 1 of the biological diversity rules 2004 or to the state biodiversity board. The NBA or the SBB on being satisfied with the application will enter into a benefit sharing agreement with the applicant, which will be then be deemed as grant of approval for access to biological resources, for commercial utilization or for bio-survey. How much money will have the traders and manufacturers to shell out? The applicant will also have the option to pay the benefit sharing ranging from 0.1 to 0.5 % on annual gross ex-factory sale of the product which will be worked out based on the annual gross ex-factory sale minus government taxes. When the approval has been granted by state biodiversity board the sharing of the accrued benefits will be up to 5% by state biodiversity board towards its administrative charges and the remaining 95 % will be passed on to the biological management committee (BMC) concerned or other benefit claimers.